Daniel came to Oak Grove in November, 2018. He Grew up in Bradenton, FL. He has a B.S. in Church Ministries: Youth Ministries from Liberty University in Lynchburg, VA.
Daniel is married to Sarah Dykes from Terry, MS. 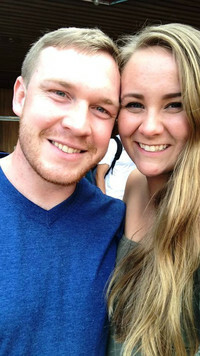 They met at Carolina Creek Christian Camps in Huntsville, TX as summer counselors. He is a Head Screen Printer at Big League Sports and Apparel in Memphis, TN. He loves Miami Hurricane sports and is very competitive. He believes Student Ministry is an essential part of the church. Many people leave the church during their adolescent years. So, as a Youth Minister, he wants to train the next leaders of the church to love Jesus Christ & find their place of service in the church.